Beautify your commercial and residential spaces with the daltile aspen lodge 12 in. x 12 in. 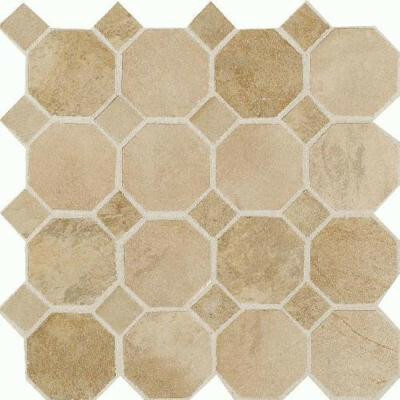 Morning breeze porcelain octagon mosaic tile. This tile provides resistance to skidding and abrasion and is recommended for use in various floor and wall applications. The product features a smooth surface with a randomly varying shade and a color that coordinates with many decorating schemes. It is suitable for exterior installations thanks to its frost-resistant construction. You can buy this product in our internet market. We will be glad if you make the right choice.